This loan calculator estimates monthly payments & the total interest based on the loan amount, interest rate and number of monthly payments. Are you buying a house or car? If so, we also offer custom calculators for home loans & automotive loans. If you're struggling with bad credit, you're definitely not alone. A recent study by the Corporation for Enterprise Development found that 56% of American consumers have a substandard credit rating. That's a staggering statistic, and it represents a very real problem. A strong credit score is crucial to a healthy financial profile, and without one it can be extremely difficult to qualify for a mortgage or any other personal loan. That being said, bad credit is not always a barrier to borrowing money. There are lenders who are willing to underwrite so-called ‘bad credit loans' for the right customers, and under the right circumstances. That's good news for borrowers with less than stellar credit histories, but there's a lot to learn about bad credit loans before you take the plunge. This guide will explain how your credit score impacts your ability to borrow money and what types of loans are available to people with compromised credit histories. We will also look at the potential hazards of so-called ‘bad credit loans', and how they might be used to help raise a borrower's credit score. Payment History – This covers your record of paying off your debts, including credit cards, personal loans, and mortgages. 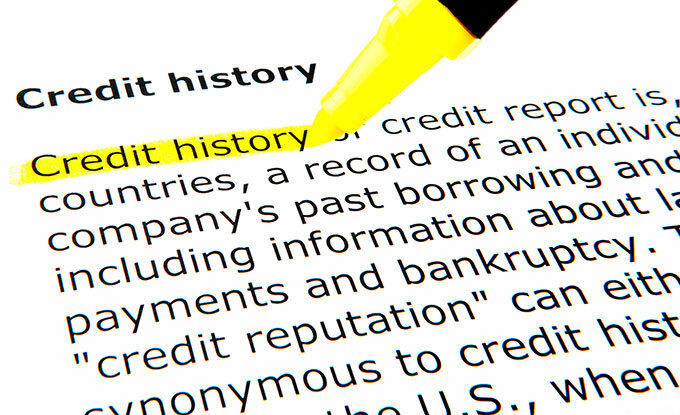 The credit bureau also figures in any bankruptcies, foreclosures, and liens in your payment history. A record of prompt payments will boost a score, while late payments and defaults will lower a credit rating. Amount Owed – The amount of debt you are carrying has a substantial impact on your credit score. High outstanding loan balances, and maxed out credit cards, will naturally have a negative impact on a person's rating. However, simply having outstanding loans is not always seen as a detriment by potential lenders. Quite the reverse. If you have a history of prompt payments, even on a sizable loan, it can be seen as proof that you are a responsible borrower. Length of Credit History – Lenders need to see a history of responsible money management before they commit to a loan. The longer your credit credit history, and the more diverse, the better your credit rating; especially if you have paid your debts on time and in full. Having little, or no, credit history can put you into a higher risk category simply because your lender has so little data to work with. Types of Credit – This is simply the various types of credit you have accessed throughout your history, including credit cards, installment loans, and mortgages. Credit bureaus, and by extension lenders, are looking to see if you have used your credit wisely in the past. For example, if you have taken out a loan to pay off your credit cards it could be indication that you have had problems managing your finances in the past, and that could lower your rating. Number of New Credit Inquiries – Each time you apply for a line of credit, it counts as a ‘hard hit' against your report. A large number of hits can indicate to lenders that you have been taking on more debt than you can safely manage, and that can lower your score. This is an important point to understand, because if your credit is already compromised applying for a number of loans in quick succession will cause your rating to slip even further, reducing your chances of being approved for any line of credit. So-called ‘soft hits', such as your personal request for your credit report or a pre-approval check from a potential lender, should not have a negative affect on your score. As you can see, there's not a lot of wiggle room in that ratings table, and a few points either way can make a big difference. Before applying for any loan, it's always wise to request a copy of your credit report from each of the three major agencies. You may have to pay a small fee, but it's worth it to know where you stand before you begin negotiating with a lender. Review your scores, and look for any mistakes that may have been made. Errors do occur, and left unchecked can keep you from being able to borrow the money you need at more favorable terms. Of course, reviewing your credit report also gives you the opportunity to identify the major problem areas in your financial history, so you can take steps to rectify them. Assuming you are not in an emergency situation, it may be better to postpone any loan applications until you can improve your credit rating. Even as short a time as 6 months to a year of paying your bills on time, and reducing your debt profile, can add several points to your score; and that will put you in a better position to borrow the funds you need at a cost that you can afford. A great deal of emphasis is placed on your FICO report when you apply for any line of credit, whether it's a bank card, personal loan, or mortgage. However, while the reporting scale is fairly standardized, how your score is judged by potential lenders is left to their discretion. For example, some banks and credit unions will only underwrite loans for customers with an extremely high rating, say 740 or above. Others might be more liberal in their practices, and will agree to lend money to someone with a lesser rating of 660 or above. The important thing to remember here, is that a less than excellent credit score does not necessarily mean you can't be approved for a loan. What it does mean, however, is that you will have to shop around to find a lender who is willing to loan you money. It also means that even when you find an amenable lender you will likely be perceived as a greater risk; and they will want to offset that risk by adding certain restrictions to your loan agreement. That can translate into lower borrowing limits, more restrictive repayment schedules and, of course, higher interest rates. When it comes to people with a poor credit history, or no history at all, there are two basic loan options available – secured and unsecured. Both have their pros and cons, and it is important to understand the distinction between the two. It's generally easier to qualify for a secured loan, assuming your collateral is of sufficient value to the lender. Approval is also fairly quick, so a secured loan can make sense in an emergency. Because you are putting up collateral as a guarantee of repayment, some lenders will approve your loan without a credit check. This is not a hard and fast rule, and you should always expect your lender to check your financial status. Either way, you must be prepared to pay sub-prime interest rates on your loan. The presence of collateral in the loan agreement can lead to a lower interest rate than would otherwise be available to someone with a damaged credit history. That being said, rates on a secured bad credit loan can never compete with those offered to an applicant with a stronger rating. While there are some definite benefits to a secured bad credit loan, there are also some equally significant drawbacks, and these are not to be taken lightly. The collateral you use to secure your loan is constantly in jeopardy. Should you default on your payments, the lending organization has a legal right to seize the collateral and sell it off to recoup their losses. This can't be stressed enough. In the case of a secured loan you must be certain that you will be able to repay your loan in full, including all accrued interest, or risk forfeiting your property. Your collateral may earn you a somewhat lower interest rate, but because of your credit history you will still be looking at a sub-prime loan — which can be risky. If the interest rates are particularly high (in the double digits) you could find it difficult to keep up with the loan. Worst case scenario, you ultimately end up forfeiting your collateral. Even if you do manage to stay on top of your payments, over time you may be paying considerably more than your collateral is actually worth. Unsecured personal loans can be had by people with less than stellar credit scores, although they are much harder to obtain. As mentioned above, some lenders have a strict policy when it comes to approving loans, and will demand that an applicant's score be at least in the low to mid 700s. That being said, if you are a member of a credit union, or are a loyal customer of a local bank, they may be willing to authorize a personal unsecured loan even if your credit rating has fallen into the low 600s. You may be limited to the amount of money you can borrow. Lenders will be unlikely to want to risk a large loan on someone with a less than ideal financial profile. The repayment schedule may be more limited. 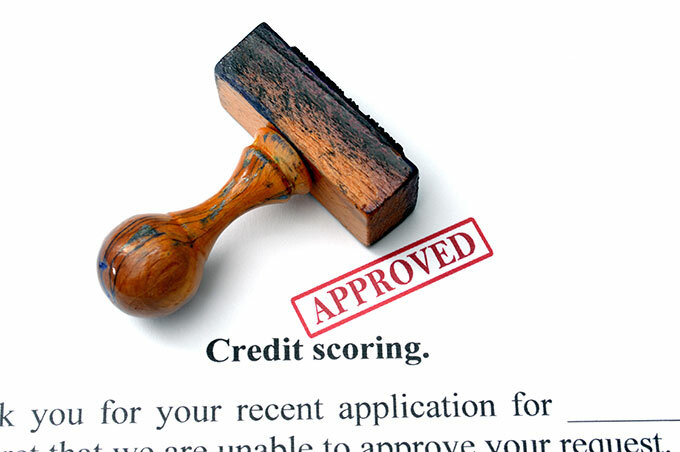 Lenders may prefer to authorize a smaller, short term, loan for applicant's with bad credit. Interest rates will be much higher than those offered to someone with a cleaner credit history. You will be paying a hefty premium to borrow the money you need, so if at all possible it is better to postpone the lone until you can improve your credit score. Again, it will take some searching to find a lender willing to give you a loan if your credit history is particularly problematical. If your current score is languishing in the 500 range or below, you will find it difficult to obtain an unsecured personal loan from any traditional lending institution. In which case, there are other avenues to consider, such as peer to peer lending (more on this below) and borrowing from friends or family. But if there's one thing you should take away from this guide, it is the understanding that a poor credit score doesn't necessarily lock you out of the lending market, but it will severely limit your borrowing opportunities. If you're in the market for a bad credit loan, you'll have to accept the fact that your options are going to be fairly limited. Since the recession of 2007, banks and other lending institutions have reconsidered their loan requirements, making them much more restrictive. In the current economic climate lenders are much less likely to take on customers with a troubled credit history, and if your score is particularly low you'll need to be prepared to accept more than a few summary refusals. Still, there are loan opportunities out there, if you know where to look. Understand, however, that it may take some time to find a lender willing to take you on as a customer. Shopping for a bad credit loan begins with the usual suspects – banks and credit unions. Meeting their eligibility requirements will be difficult, but you should exhaust these options first, before moving on to less desirable lenders. Banks – Banks have become extremely conservative when comes to underwriting loans for people with poor credit. Still, if you have been a long time customer, and have an otherwise good relationship with your banker, you may be able to score the loan you need. Of course, you will have to jump through a few hoops first. Your bank will want a complete list of all of your debts, as well as proof of income. This will be used to determine if you are in a position to take on any more debt. You may be asked to provide collateral for the loan, to help offset the lending risk. If you do qualify for an unsecured loan, be prepared to pay a high interest rate that reflects the current state of your credit rating. You should also expect a firm limit to be set on the amount of money you can borrow. Credit Unions – If you are a member of credit union, you may find it somewhat easier to qualify for a small loan in spite of your bad credit. This is because credit unions are community owned and operated, and as a member you are technically a shareholder in the business. If you have been a member in good standing, they may overlook some of your credit deficiencies and agree to lending you money. Of course, you should expect to meet some stringent requirements, including providing proof of income and complete disclosure of all of your debts and liabilities. Again, you should be prepared to accept a high interest rate on your loan to help mitigate the credit union's risk. Simply put, the lower your credit score the higher your interest rate and there's no getting around it. It has to be said, getting a bad credit loan from a bank or credit union in today's financial climate can be challenging. However, they're always the best places to begin. If you can manage to meet the rather stringent requirements, you should be able to obtain a loan at more favorable terms and rates than will be offered by other bad credit lenders. If you have no luck with your local bank or credit union, and you are still in need of a loan, it's time to move on to other options. Online Lenders – There are a number of online services that match borrowers with potential lenders. Many of these specialize in finding loans for people with bad credit. It's become something of a big business. However, online lending can, and often does, come with it's share of danger. You don't always know who you are dealing with, and because the lender may be in a different state they might not be governed by the same regulations as a local bank or credit union. Still, they are an option if you need a loan and are saddled with a troublesome financial history. If you choose the online route, you should expect to pay additional fees for the service, over and above the high interest rate on the loan itself. Before agreeing to any online loan, be sure to check out the lender with the Better Business Bureau, and make a point of talking to a representative from the firm directly before signing any contracts. Peer to Peer (P2P) Lenders – Peer to peer lending is one of the fastest growing sectors of the loan and finance market. Essentially, a representative firm matches prospective borrowers with private lenders. For the individual lender, the transaction is an investment that will pay them dividends in the form of interest due on the loan. There is also some measure of community activism involved with peer to peer lending, and many participants on the lending side see it as an opportunity to help others while putting their money to work for themselves. Peer to peer lending can be a good fit for those with poor credit, however there are some major points to consider. P2P lenders are not regulated in the same way as standard financial institutions, so there is more leeway in the loans they can approve. Of course, that also means they have more flexibility when it comes to charging interest, and that can work for or against you. If you do consider P2P lending, research the lending platform fully, and be careful to review any contracts to ensure that you understand them completely. Remember, this is not your traditional lending model, so it is doubly important to read the small print before signing any loan contract. Workplace Loans – Workplace loans have become increasingly popular over the last few years, and though they do have their detractors they can be a viable option. Many businesses are starting to partner with banks, credit unions, and alternative lenders to provide short term emergency loans for their employees. Some firms even use this as a recruiting incentive, selling it as part of their overall benefits package. The upside of employer based loans is that they are often easier to obtain. Naturally, your employer will have a good idea of your annual income and can deduct payments directly from your earnings. There are some downsides, however, Most workplace loans are fairly limited in scope, and borrowing limits tend to be low. Interest rates can also be rather high, and if it's a long term loan it can lead to a cycle of debt that is difficult to break. If you need to borrow money, and your other options have been exhausted, you might consider speaking to your HR supervisor about a possible workplace loan. Payday Loans – By now, most everyone is aware of the predatory nature of payday loans. However, if your credit is in a bad state, and you only need a small amount of money to cover an emergency, they might be your only alternative. The major benefit here is that there is never a credit check, and as long as you can show proof of income you should qualify for loan. However, it is important to understand that interest rates on payday loans are exorbitant, falling just this side of usury. You will also have to pay fairly hefty processing fees as well, which only adds to the total cost of your loan. Should you fail to repay the amount borrowed (plus interest) in the time allotted, the loan will rollover and your debt will grow considerably. Again, this can lead to a cycle of debt that is hard to break, particularly if your financial standing is already on shaky ground. A word of caution when you are borrowing money, regardless of who underwrites your bad credit loan. Only apply for the amount that you absolutely need. Remember, between the high interest rates and your existing debt, it is all too easy for your loan to become unmanageable. Before you sign any loan agreement, be certain that you already have a plan in place to repay the loan on time, and in full. Prompt repayment can actually help to rehabilitate your credit score, but any delays, or worse yet, a default, can send your credit rating spiraling to all time lows. Finally, in an emergency, you might consider borrowing the money you need from family or friends. Now, it may be embarrassing to go cap in hand to a parent or best mate, but it is often safer and more cost effective than taking out a short term bad credit loan from a bank or other lending institution. Of course, this presupposes that you have a strong enough relationship with a friend or family member to enter into any kind of lender/borrower dynamic. But if you do, this may be your best option in an emergency. One word of advice, however. Always treat a personal loan from friends or family with the same respect you would bring to any other financial transaction. Make a point of repaying the loan on time and in full, including any interest that you may have agreed to pay. Defaulting on a loan from a friend or relative may not damage your credit score, but it may well damage your relationship. Bad credit loans are one of the more problematical financial products on the market, but they do have a place in the broader landscape. While they typically come with more restrictive terms and higher interest rates, they are sometimes the only option for people facing a financial crisis. That being said, it is not all doom and gloom. Properly utilized, small short term loans can actually help rebuild a damaged credit history, assuming they are handled with care and precision. The effective management of any loan, regardless of circumstances, will improve your financial profile and give you greater borrowing power in the future. But it is a tightrope that must be walked carefully; bad credit loans can just as easily lead to a cycle of debt that brings greater financial stress, and the potential for bankruptcy. Of course borrowing money always carries some level of risk, but with bad credit loans those risks can be greatly intensified. Before you take on any more debt, ask yourself if a loan is absolutely necessary, or if it can be postponed until you can complete some much needed work on your credit score. If at all possible, put off applying for any loans, at least until you can bring your credit rating up enough to put you in line for more favorable terms and more competitive interest rates. If you simply must take out a loan now, borrow only the amount of money you need at the moment and no more. Figure out how you will repay the loan before you accept any offers from lenders, and read and reread the fine print prior to signing any contract. While it's certainly possible to find lenders who are willing to authorize bad credit loans, it is ultimately up to you to make the kind of informed decisions that are necessary to safeguard your financial future.